Have you ever read a book that was so good you just kept putting off the ending because you couldn’t bear with the separation of completing it? 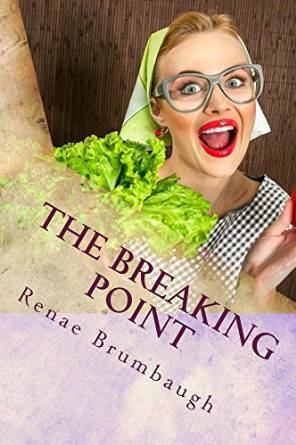 Like the last piece of chocolate cake that is so decadent you’d hide yourself in the closet to eat it alone, The Breaking Point is the kind of book you want to go on forever. With hilarious antidotes, Ms. Brumbaugh tells about normal life as a mother, wife and writer. From catching giant spiders with mixing bowls to hair styles, flooding bathrooms to singing solos in the church pageant, her stories will have you rolling on the floor laughing. It is with such humor that she drives home God’s amazing love, His patience and ways. The book could easily be used as a devotional with each day being a scripture and short article. Do yourself a favor, read The Breaking Point today then share it with a friend or two. You won’t be sorry and you’ll have a badly needed laugh. I received this book from the Book Club Network in exchange for my honest opinion which I’ve provided here.